As we approach back to school time, I thought I’d lend a hand to parents who want a lower sugar option for their kids’ breakfasts and snacks. An easy, delicious and customizable vegan granola recipe, that’s naturally sweetened. A crunchy granola topping for morning yogurt or satisfying hand-to-mouth muncher after school. I got the idea from a string of fun family days spent with my nieces, nephews and cousins this summer. Between them, there’s 10 kids in our family going back to school. 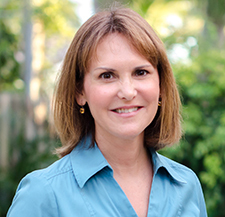 But there’s 20 parents facing that frantically paced, lunchbox-packing, homework-checking, car-pooling, sports practicing, club meeting, teacher conferencing whirlwind that comes each fall. 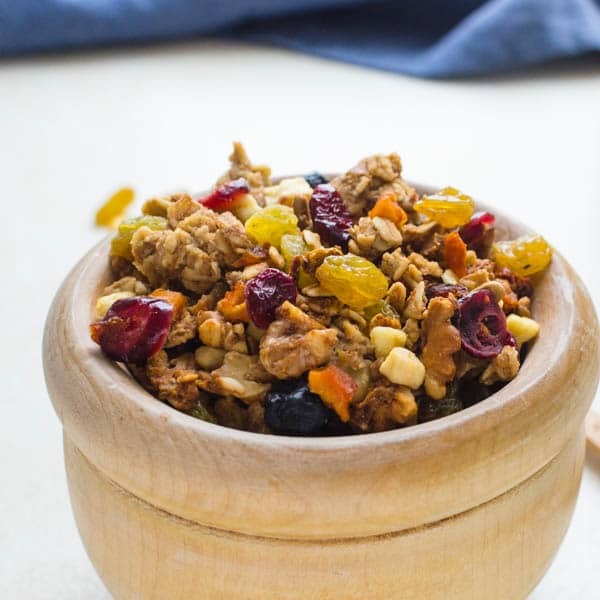 For all you superhero Moms and Dads I’m sharing this healthy, all natural, organic DIY granola recipe that makes an easy breakfast or low-sugar snack to keep the kids going all day long. 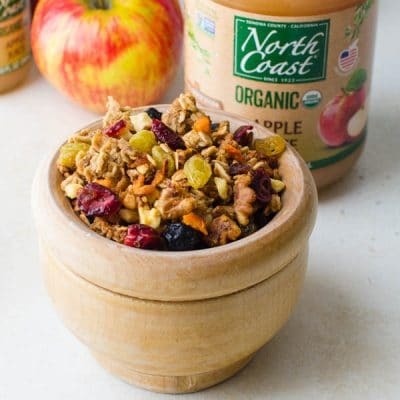 My no-sugar added granola starts with North Coast Organic Apple Juice. Why North Coast? 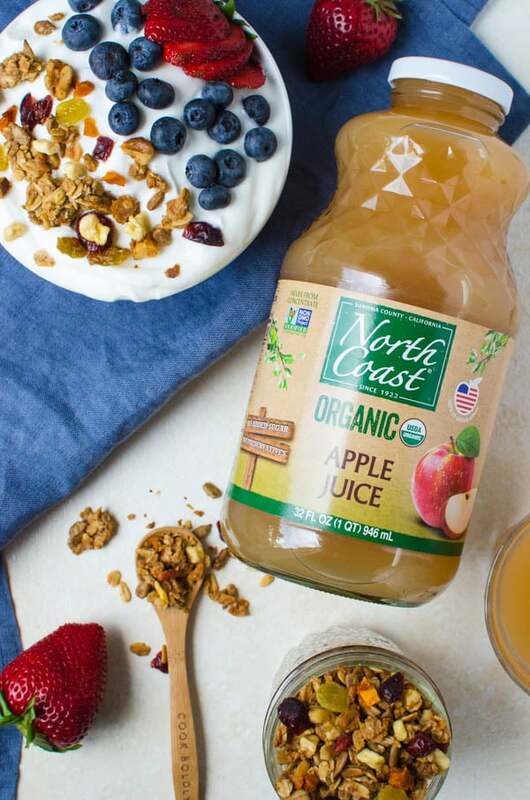 Leveraging an expertise that spans over 90 years, North Coast makes delicious, wholesome products while preserving agricultural traditions of its community. North Coast’s mission begins, first and foremost, with sourcing fruit of exceptional flavor and quality, which are grown by skilled, responsible organic farmers with simple ingredients: water, earth and air. The moms and dads in my family appreciate that. 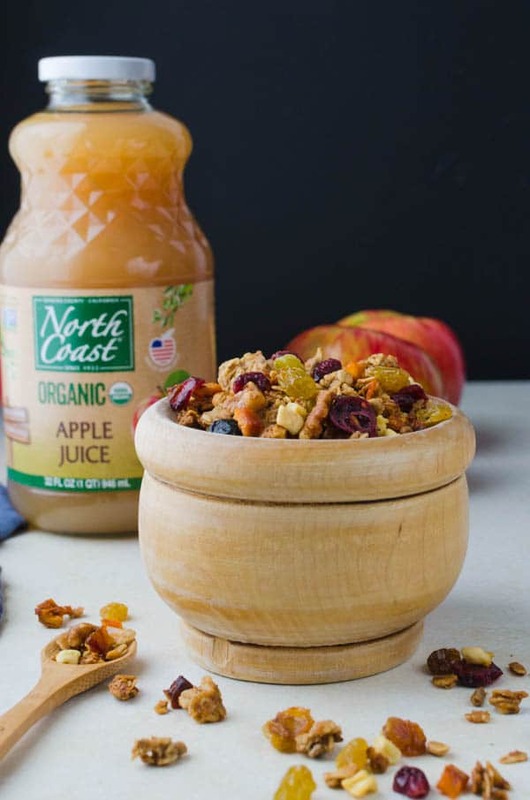 This crunchy granola gets its natural sweetness from North Coast organic apple juice and real maple syrup. That’s it. No other sweeteners. My family loves this low sugar granola because it’s subtly sweet with pops of dried fruit and crunchy oat and nut clusters. Kids are more likely to eat something if they’ve participated in some way, so giving them a little “say” in what fruits and nuts they want in their granola is key. Heat the maple syrup, coconut oil, North Coast organic apple juice and spices over low heat until the coconut oil melts. Toss with your choice of dried fruit. 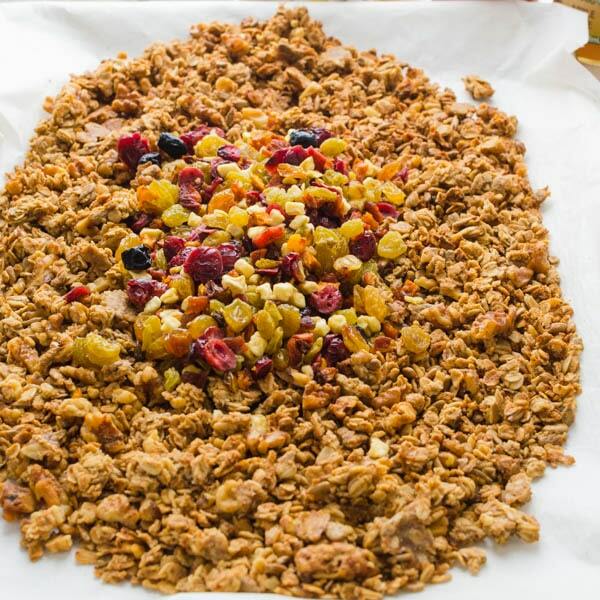 It’s easy to get the kids involved in making the crunchy granola. 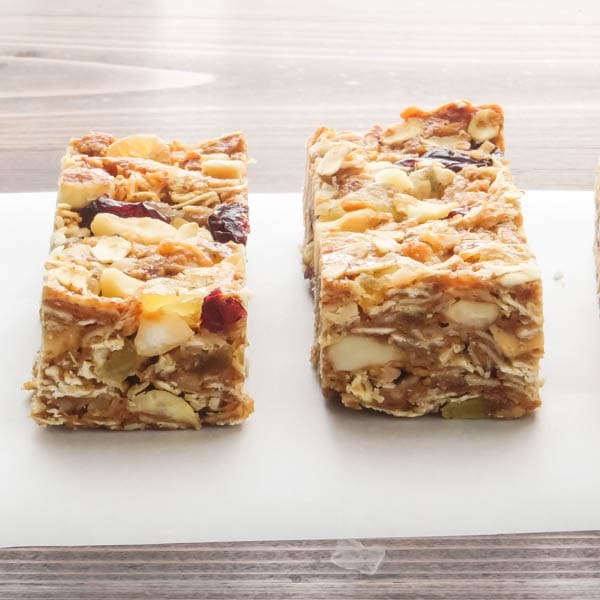 Depending on the age of the child, they can mix the dry oats together (younger kids), or stir the apple juice mixture on the stove (older kids), coat the dry ingredients with the wet ingredients or just add the dried fruit at the end. 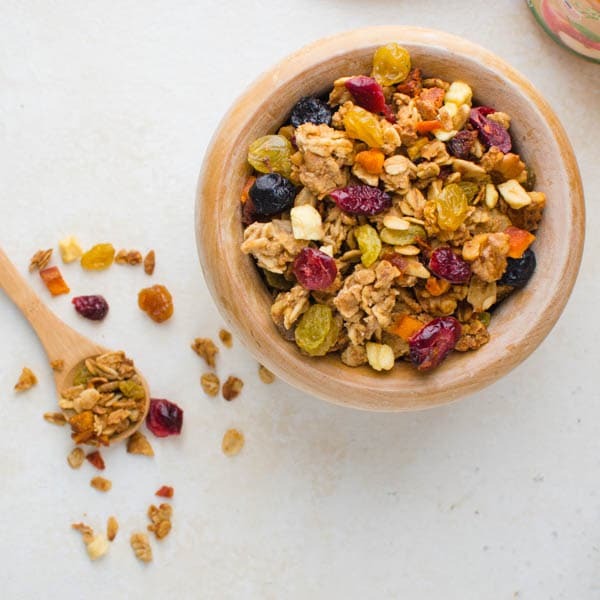 We like a variety of dried fruit in this natural granola including golden raisins, dried blueberries, tart cranberries, dried peaches and dried apples. 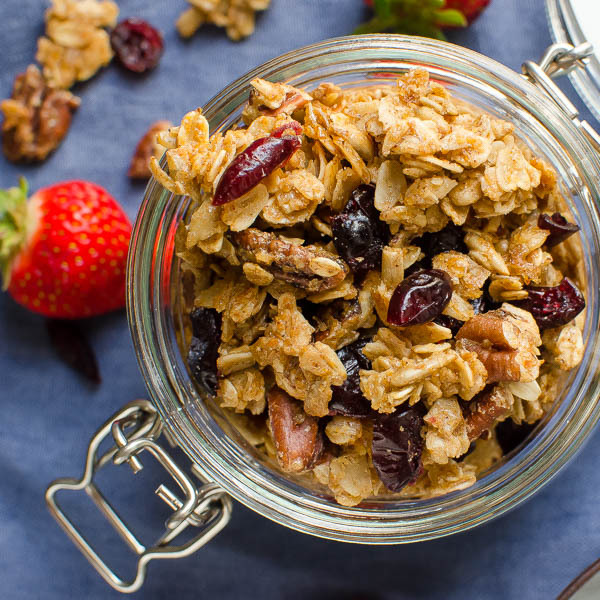 The oatmeal granola gets crisper as it cools — which incidentally is the hardest part about this recipe— letting the granola cool completely before adding in the dried fruit and reaching in for some nibbles. 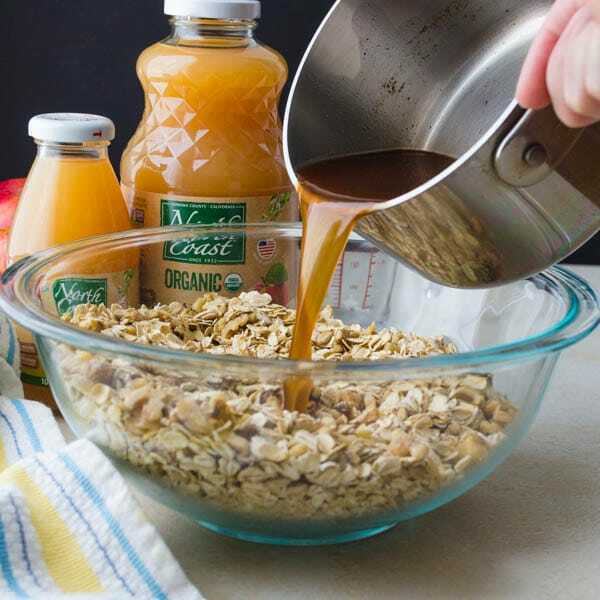 To me the subtle combination of pure maple syrup, spices and organic apple juice make this naturally sweetened crunchy granola a welcome departure from the sugar-bomb cereals, pastries and cavity inducing sweets normally found in kids’ breakfasts and snacks. Apple Cider Vinegar is well-known for its wonderful flavor and health aids. Explore the many ways of adding it to your meals and recipes, in order to make the most of its benefits! 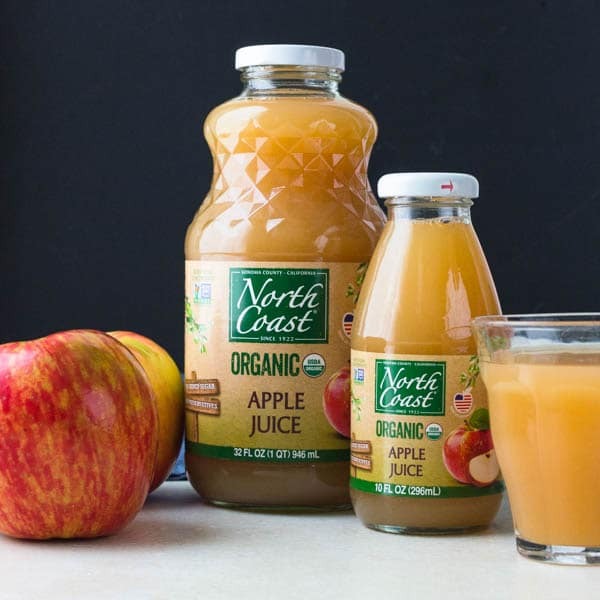 North Coast wants to see your best apple juice, apple cider vinegar and apple sauce recipes. Check out the North Coast Facebook page for an opportunity to win a $250 Prepaid Visa card. 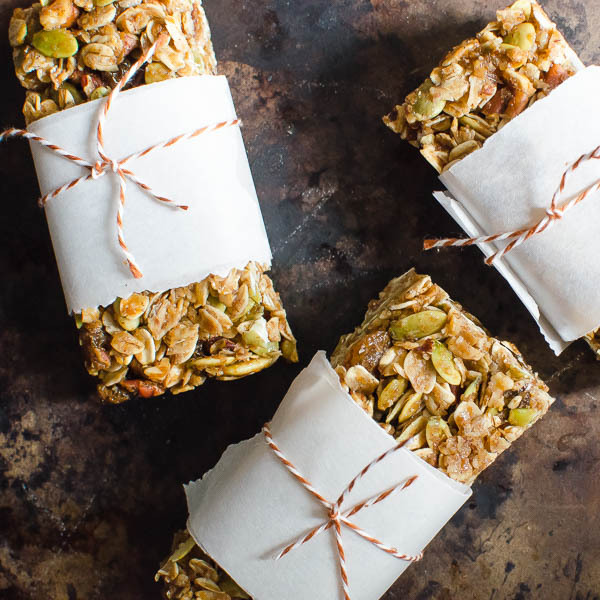 A light, crispy granola that's loaded with whole grains, fruits and nuts. Great over yogurt or for snacking. 1 1/2 cups mixed dried fruit (I used cranberries, apples, peaches & blueberries) cut larger fruit into bite sized pieces. Preheat the oven to 325°. Line a half sheet pan with parchment paper and set aside. In a large bowl, stir together the oatmeal, walnuts, sunflower seeds and wheat germ. 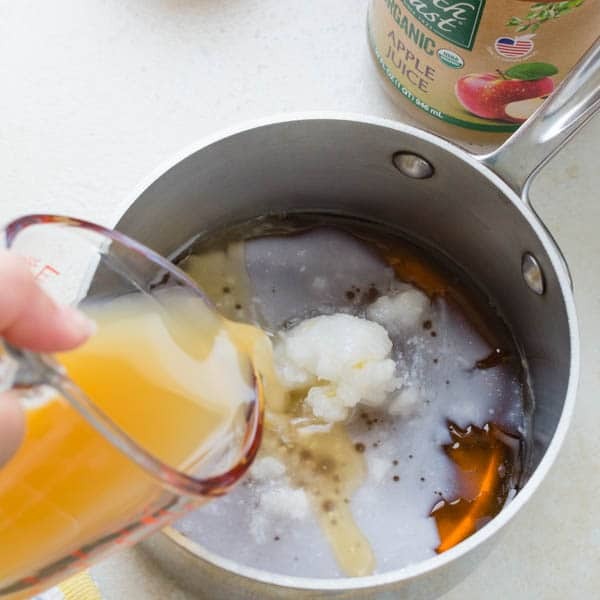 In a small saucepan over low heat, combine the North Coast Apple Juice, coconut oil, maple syrup, cinnamon, apple pie spice and kosher salt until coconut oil is melted. Pour the apple juice mixture over the oat mixture and stir until well coated. 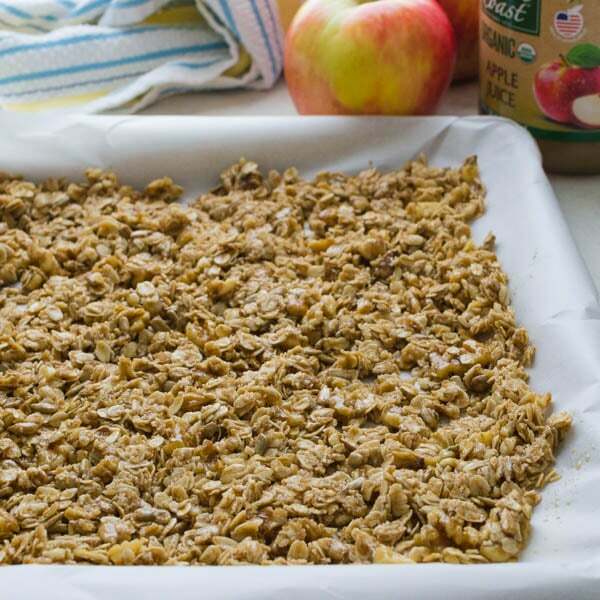 Spread the oatmeal mixture in a single layer on the sheet pan. Bake for 45 minutes, stirring the granola every 15 minutes to ensure even baking. Cool the granola to room temperature (granola will become crunchier as it cools. 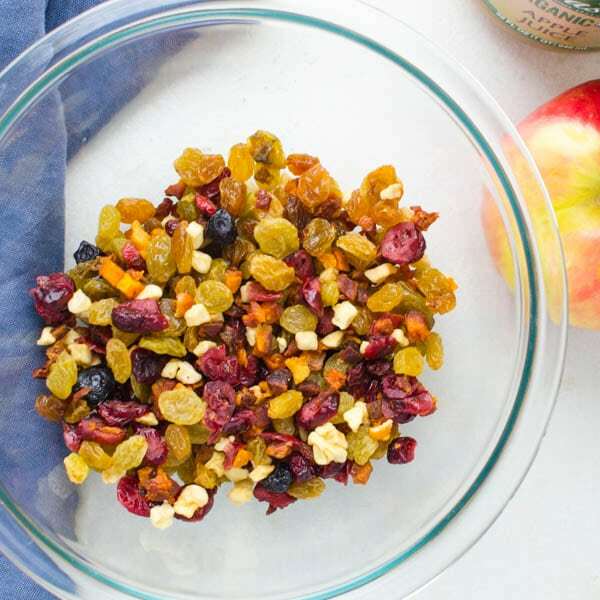 Add the dried fruit to the granola and toss to combine. Store in an airtight container for up to one week. My mom made granola often when I was a kid and I finally made my own recently. Looking forward to trying this! This recipe looks amazingly healthy and delicious. I love that you use quality organic ingredients in your naturally sweetened granola too! Here in GA, kids are back in school already and seeing my daughter and I love granola, this sure won’t last long in our home! LOL – it never does! I love homemade granola, this version looks awesome! I love homemade granola! It’s the perfect breafast as cereal or as a yogurt topper. So many excellent ingredients! We love making our own granola. It’s nice to be able to control what goes in to it. Definitely need to make more granola as the kids get ready to head back to school in a few weeks. Love the options you have for this one! 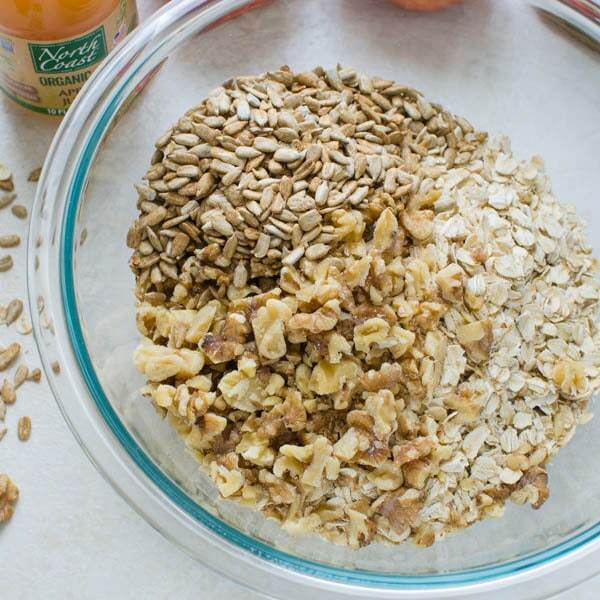 Using apple juice to sweeten this granola is brilliant. I love all of the bright dried fruit you added to this as well! Taking the intimidation out of homemade granola! Love it! Yumm. Love this and just in time for the new school year to start adding this to some yogurt on the way out the door or just for a snack!! Yep – just in time for school — our district started today! Enjoy!